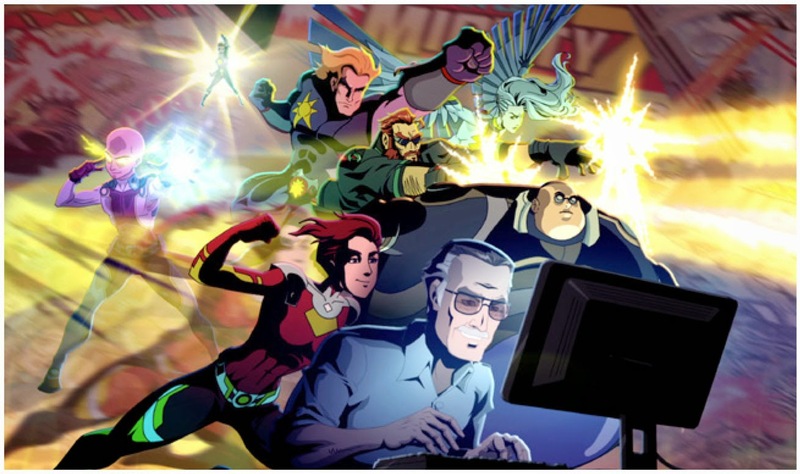 Being that the boys are big on super heroes and all the marvel comics I knew they would enjoy Stan Lee’s Mighty 7: Beginnings. Even when I asked Dane if he'd like to review it and he quickly said yes and was all about it. 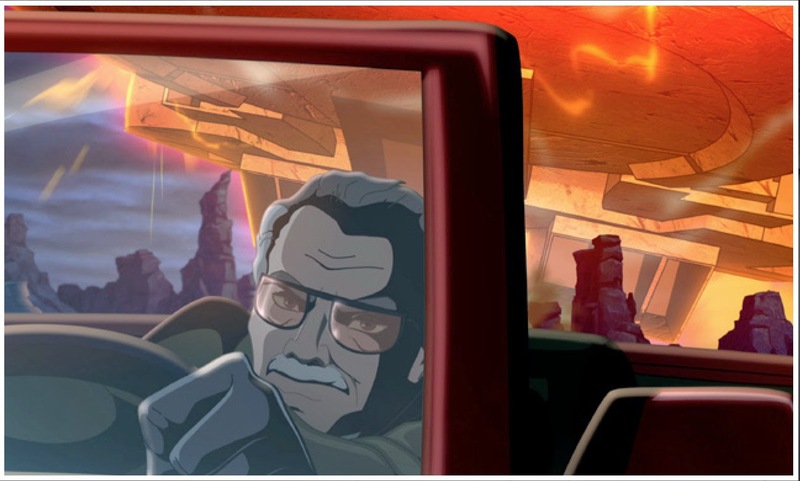 Cinedigm shared that they would be releasing Stan Lee’s Mighty 7: Beginnings on April 15th, 2014, and I was quick to agree to review it. It looked like a good twist on Stan Lee's normal comic super heroes. 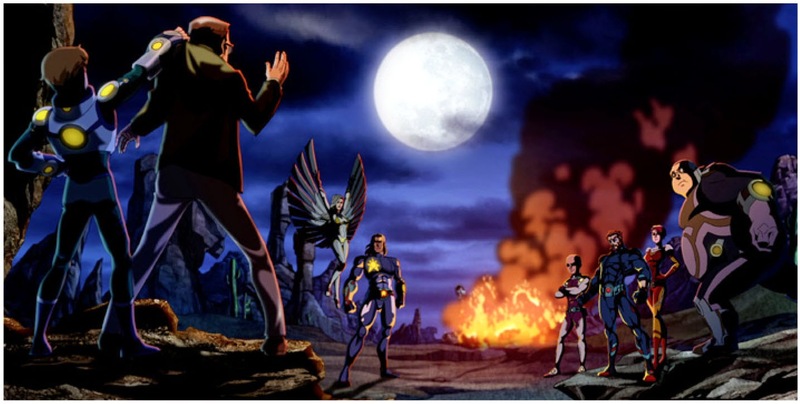 The synopsis says "Reality, fantasy and adventure collide in this action-fueled animated movie from comic book legend Stan Lee. When Stan stumbles upon seven aliens who have crash-landed in the desert, he soon finds himself swept up in their journey as a top-secret military force led by the ominous Mr. Cross and the evil reptilian Taegons close in on the group. 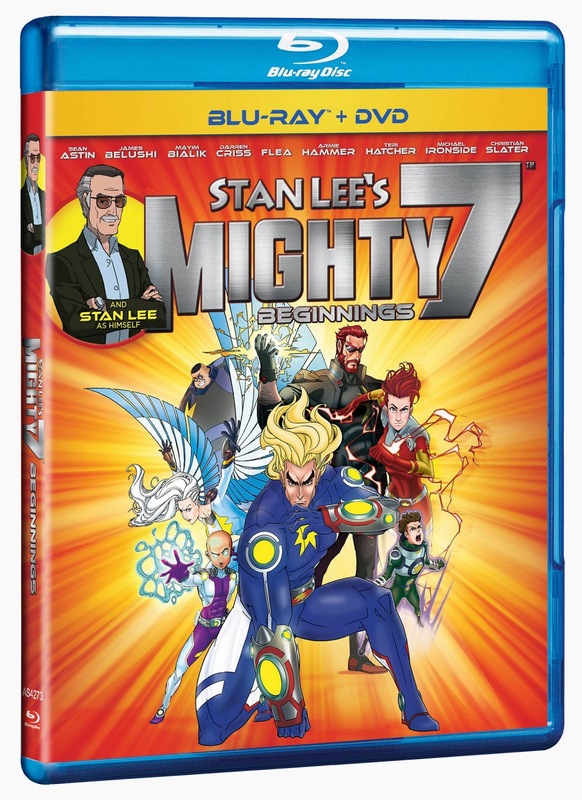 He quickly moves them to his Malibu beach house, but in order to guarantee their survival, Stan must show the Mighty 7 how to develop their powers and become Earth’s newest team of superhero fighters. Featuring the impressive voice talents of Sean Astin, Jim Belushi, Mayim Bialik, Darren Criss, Flea, Armie Hammer, Teri Hatcher, Michael Ironside and Christian Slater, it’s the first installment in a fascinating trilogy." Once this arrived the boys seemed very uninterested which confused both Kevin and myself. The only thing we could come up with was the cover wasn't appealing to them. Once we finally got them to watch it though, Dane was in love. He was quickly obsessed with the alien super heroes and all their unique powers. I loved hearing the voices of some seriously popular actors and actresses too! We frequently discuss things like what it would be like to have the super powers to run fast all the time. Recommendation: I thought the story was pretty awesome and very action packed! Both boys seemed interested once they finally watched it and I honestly loved the change from the traditional characters.